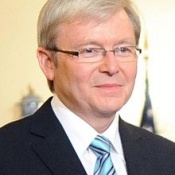 I HAVE learned the hard way never to underestimate Kevin Rudd. During his exile in the political wilderness, there were times when I rated his chances of a return to The Lodge as somewhere between zero and Buckley’s. So much for my fabled political antennae. Indeed, there was a time when regular readers might recall I advised him in an open letter to discard his Prime Ministerial ambitions and throw his support whole-heartedly behind Julia Gillard. So much for my influence on Kevin’s decision-making process (laughable); to say nothing of my statesmanlike judgement (missing in action). Nevertheless, with the best will in the world, I just can’t see him winning the election. It’s not because he and his government lack the correct policy prescriptions. They have a commitment to the NBN, which is a game-changer in our economic and social history; to Better Schools; to a decent investment in public hospitals; to disability insurance; to higher superannuation; to stopping the boats; and, most importantly, to fiscal discipline short of the failed European “austerity”. I might be wrong, but that seems to tick all the important boxes. And it’s not because he’s facing a daunting opponent. Tony Abbott scares the pants off lots of people. He’s an economic innumerate, a Catholic ideologue and a bully. Try as I might, I can detect no empathy in him for the better angels of our collective nature. So far, you’d think, Kevin’s practically got it in the bag. But for two reasons I just can’t persuade myself that he’ll get Labor over the line. The first is the very clever way that Tony Abbott has pictured a government with a AAA credit rating as a bunch of economic stumblebums. That is salesmanship with a capital “S” and I dips me lid. And, of course, he will duck and weave to avoid any knockout blows in debates that might expose the underlying falsity of his claims. The second is much more important. It’s called Rupert Murdoch. In his sere and yellow, Mr Murdoch has come to believe he can dictate who will govern Australia. He has dropped all pretence of journalistic professionalism. He has sent his editorial henchman, Col Allan, from the egregious “New York Post” to our shores with the express purpose of using his newspapers to destroy Rudd and install Tony Abbott. 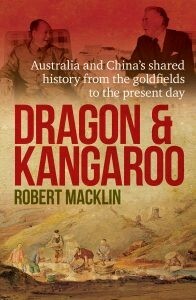 And he owns 65 per cent of all Australian metropolitan circulation. That’s bad enough, but because they are so influential, they set the tone of each election day’s agenda. Even the ABC (radio and TV) takes its cue from the headlines in the Murdoch press. So Rudd and his ministers will spend the entire campaign defending themselves from the latest confected outrage. That is no way to win an election. So while I wish Kevin well, this time I think he’s bitten off more than he can chew. Rupert Murdoch and his minions will triumph. Tony will move into The Lodge. And guess who’s coming to dinner? I agree with most of your comments, but the main reason Rudd will lose this election is because of the influence of Rupert Murdoch and the Bias of Jounalists who work for him and who are afraid of losing their jobs if they back Rudd. What load of absolute rubbish. How desperate to have to hang your hat on the old Murdoch scare tactic to explain such a masive loss by Labor. Ridiculous and pathetic.Do you really think that the voting public only decide their vote from reading a newspaper??? At least I am pleased I read this because I was on the web looking to buy your book on Norfolk Island, but you have saved me money,as I now wouldn’t spend one cent on buying anything you wrote. You and Kevin can live together in your little warped dream land, you both deserve each other.But the Australian public deserve better than him and his cohorts.